Today, India is amongst the fastest-growing smartphone markets globally, with around 340mn users tracked by Statistica.com in 2017 alone. It is estimated that 36% of Indian cellular phone users are using smartphones in 2018. India is adopting new-age technology fairly rapidly - and is, in fact, a hotbed for the very creation of such technology. Corporate executives are increasingly using technology to make their day-to-day tasks more efficient and less strenuous. 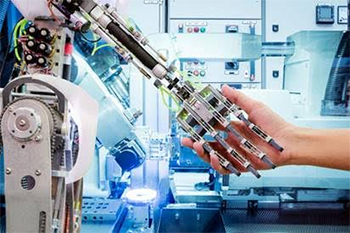 This trend brings up a loaded and hotly-debated question for India Inc. and in fact corporates globally – will technology eliminate the need for humans when it comes to performing routine tasks? However, let's examine the situation closer to home and take the job function of Executive Assistants or personal secretaries as a case in point. This is one role I am asked about fairly often in context with possible erosion by technology. Today, India is amongst the fastest-growing smartphone markets globally, with around 340mn users tracked by Statistica.com in 2017 alone. It is estimated that 36% of Indian cellular phone users are using smartphones in 2018. This seems to be confirmed by US-based market research agency eMarketer, which predicts that over 1/4th of the country's population will be using smartphones by the end of 2018. Personal digital assistants (PDAs) were in vogue globally even before the smartphone revolution really took hold, and India was no exception. Smartphone and broadband penetration are reliable markers of the depth of technology adoption, and urban Indians are certainly on top of the learning curve. One would assume that technology has made secretarial functions obsolete by now. However, this is not the case and there are good reasons for it. First, let’s look at some numbers. As a recent study by McKinsey pointed out, the proportion of jobs which can be fully automated with today's technology is less than 5%. The report also highlights that about 60% of all occupations involve a minimum of 30% of functions which can be automated and that tech-adept workers now have the upper hand in the employment sweepstakes. Certainly, tech-savviness is becoming a de rigueur requirement in an increasing number of job scenarios. A report by the Center for Global Development takes the pessimistic view that 69% of all jobs in India could be eliminated or profoundly changed by computerization and intelligent digital technologies. On that front, India apparently sits somewhere in the middle of the country with the lowest job automation potential (the US at 47%) and the one with the highest (Ethiopia at 85%). The report also correctly echoes the argument that while many jobs could be impacted theoretically, the actual introduction of new technologies into the workplace will happen far more gradually. In some cases, it would prove to be a far costlier exercise to adopt robotic technology than to stick to traditional job scenarios. In short, the technology still has its limits. Definitely, if we consider Corporate India today, it is clear that many functions cannot be easily replaced by automation. This is especially true when a role involves a human element of complex decision-making in collaboration with other human beings. The time-honored role of Executive Assistant or secretary is obviously about a lot more than booking flights and taking dictation. As of today, artificial intelligence (AI) cannot fathom human emotions or prioritize tasks which require a human understanding of other human beings the nuances of human situations. AI can therefore not accurately gauge or deal with situations of exigency created by humans, except in the most logical and dispassionate manner - an approach which oftentimes makes things worse rather than better. For those of us who have used Alexa, Siri and various speech-to-text technologies, it is evident that they are currently nowhere close to being perfect. In fact, there is a lot of anecdotal evidence that they have been known to make hilarious and sometimes near-catastrophic mistakes, which the corporate world cannot afford. Finally, AI cannot forge human bonds, elicit, or respond to human loyalty, genuinely empathize with human situations or come up with counter-intuitive suggestions and solutions that suit a plethora of situations. It is safe to say that many routine, standard, and rule-driven transactional aspects of the Executive Assistant role may get automated with use of technology, bringing in higher efficiency and bandwidth to do more complex tasks. However, EAs themselves are not going anywhere soon – rather, their roles will evolve. If we consider an industry like organized real estate consulting, there is no getting away from the fact that in Indian, this business and many related verticals are intensely people-focused at most levels. Among many other reasons, most real estate is meant for use by humans and not machines. Nor do machines make real estate purchase or leasing decisions, though they can be invaluable in shortlisting options and are now extensively used to make functions like lease management and project maintenance more efficient. As such, people who operate in the real estate domain cannot completely dispense with the human element at any level, from CEO to secretary. Without a doubt, technology will play an increasingly prominent role in the corporate world and EAs will need to be among the earliest adopters of new efficiency-boosting technologies. While artificial intelligence will not eliminate their role entirely, they will definitely have to up-skill technologically to provide support in relatively more complex tasks. Their efficiency in the fast-paced corporate world depends on their ability to use technology. They must either bring the right skill-sets to the table or have the benefit of relevant in-house training by their employers. In the real estate consultancy business, the C-suite definitely uses technology extensively to keep track of schedules, monitor team performance, and to match clients' requirements to databases of real estate options. Technology has made things a lot simpler for those who know how to leverage it, and every progressive company with long-term plans must adopt the right technological solutions to improve their business. However, except at certain lower levels of data entry, processing and query resolution based on standard rules and policies (which previously relied solely on people with the right skill-sets) technology is not going to replace people in the Indian real estate business - at least in the short-to-mid-term. Rather, it is giving rise to a more tech-savvy workforce. An EA without the adequate technological accomplishment is quite unthinkable today – but equally unthinkable is a scenario where artificial intelligence is used for tasks which only intelligent humans can perform. Perhaps this will change in the future, but hopefully not in my active career. As the HR head of a Pan India real estate corporate, I definitely deal with databases and various technology solutions which help me and my team manage them. Technology has been a gamechanger when it comes to finding the right people, conducting background checks, compensation benchmarking, performance management, employee engagement, talent mobility and the like. However, at the end of the day, we’re still looking for the best people to use the best technologies. Also, while I admire technology and use it a lot, I like people a lot more.